We specialize in figurines, collectibles, cameras, novelty items, apparel and jewelry that are photographic related. We do have a few unique miscellaneous pieces with an unrelated theme. We occasionally also obtain old cameras and related equipment. 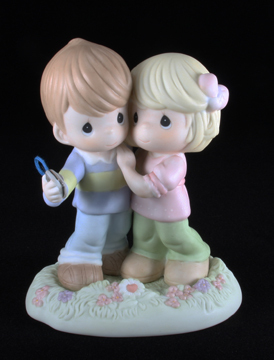 This figurine is a wonderful photographic collectible from the "Precious Moments" Collection. The statue is 5.5" tall. Released in 2008, this collectible is a must have for the photo enthusiast! The price is only $60.00.